Guaranteed Seating Enjoy priority seating for seasons to come. Convenience Your tickets are mailed to your home – Just mark your calendar and look forward to great early music performances. Convenient Ticket Exchanges Switch performances or bank your tickets and bring guests to another performance – just call or email us. It’s easy! 15% Off Additional Regular Priced Tickets Best available seating for your guests. Maximum Savings Subscribers receive up to 20% off full price tickets. Scroll down this page to choose your package today. Choose this package and enjoy all five concerts on Friday evenings for less. New! 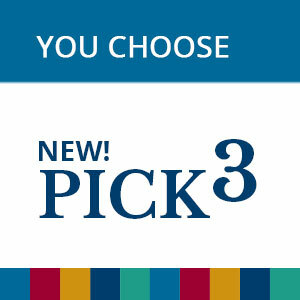 Pick Three performances and save! Choose this package and enjoy all five concerts on Saturday evenings for less. 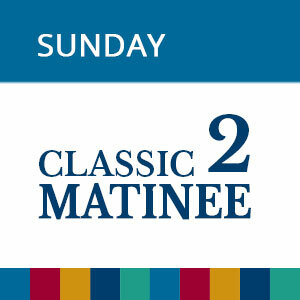 Choose this package and enjoy our two Sunday matinee concerts for less.